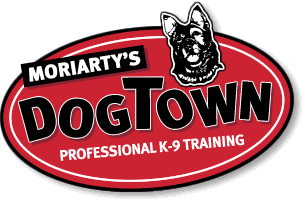 Moriarty's Dog Town, Professional K-9 Training, dog training - I am interested in Dog Town training services, how do I sign up for group classes? or private dog training classes? > Dog Training > FAQ - Frequently Asked Questions > I am interested in Dog Town training services, how do I sign up for group classes? or private dog training classes?